llinois River.\Photo by Tim Palmer. Sanderson's Island on the Rogue River.\Photo by Tim Palmer. 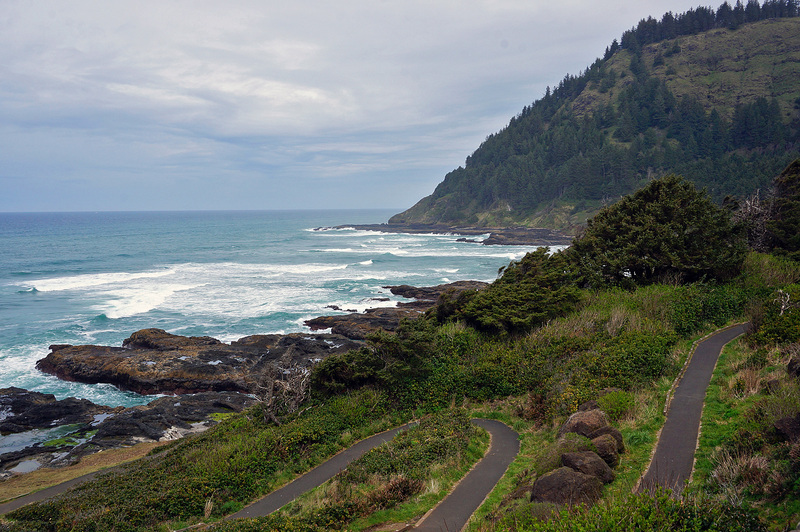 Cape Perpetua trails and coastline. | Photo by Richard W.
South Slough National Estuary entrance. | Photo by Matt LeBlanc. Aerial view of Coquille Point, with the site of the former motel, now proposed hotel, sticking out.\Photo by Steve Buck.